The argument that any part of the divine law was done away with at the cross arose in the 1800s when knowledge of the seventh-day Sabbath was being restored. As the truth spread that Yahuwah was to be worshipped on the seventh day of the week, not the first, ministers preached for the first time that the divine law was “done away with” at the cross. This same heresy has carried over to statute law. Satan has deceived most of Christendom into believing that not only was the Sabbath "nailed to the cross" but the annual worship days, called feasts, were as well. Such a belief is based on a misunderstanding of the divine law. 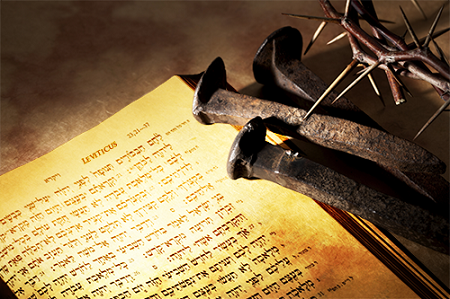 Yahushua, as our Saviour, perfectly kept the divine law. As His followers, we are admonished to follow His example. The Apostle Paul kept the feasts and taught his Gentile converts to do so as well, as can be seen by his references to keeping the feasts in Acts 18:21 and 20:6. The apostles and early Christians all kept the feasts for hundreds of years after the death and resurrection of Yahushua. Many assume it took time for the apostles to lay aside what Christians today deem “unnecessary Jewish tradition.” However, this assumption is false. The apostles and the early Christians never again sacrificed any animals, because Yahushua, the Lamb of Yah that takes away the sins of the world, had already been sacrificed once for the sins of the world. According to the Venerable Bede, writing in the early 8th century, John the Beloved observed the “fourteenth day of the first month” or Passover and taught the early Christian believers to do likewise. These feasts were kept by all the faithful until, under the influence of the Church of Rome, paganism entered and began to corrupt the once pure faith. Under the guise of “converting the pagans,” Victor, the Bishop of Rome, compromised with paganism, adopting pagan celebrations such as Christmas and Easter while setting aside the feasts of Yahuwah. Apostolic Christians, such as Polycarp and Polycrates who had been taught directly by the apostles, still observed the feasts, refusing to accept the counterfeit pagan celebrations. It was, in reality, a fight over when to worship and which calendar to use to calculate those days of worship. Satan, as foretold in Daniel, was seeking to change times and laws. For over a thousand years, the ekklesia of Scotland were still worshipping on the seventh-day Sabbath and observing Passover by the ancient calendar of the Bible. Under the influence of a Roman Catholic queen, Scotland finally laid aside the pure faith she had preserved since apostolic times, but was later one of the first to embrace a return to truth during the Protestant Reformation. Worship on counterfeit worship days dishonors the Creator. Clinging to pagan holidays and refusing to observe Yahuwah’s feasts, breaks the divine law. 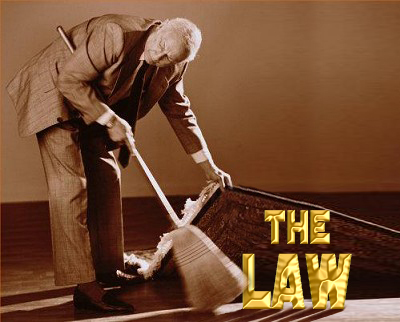 Yahuwah gave His law for the good of His people. All who break His law today, merely follow in the footsteps of ancient Israel as they repeatedly apostatized. “I gave them My statutes and showed them My judgments, which, if a man does, he shall live by them. Moreover I also gave them My Sabbaths, to be a sign between them and Me, that they might know that I am [Yahuwah] who sanctifies them. “Yet the house of Israel rebelled against Me . . . they did not walk in My statutes; they despised My judgments, which if a man does, he shall live by them; and they greatly defiled My Sabbaths. The sign between Yahuwah and His people is not just the seventh-day Sabbath. Included in the sign is the keeping of all the feasts, which are a part of statute law. 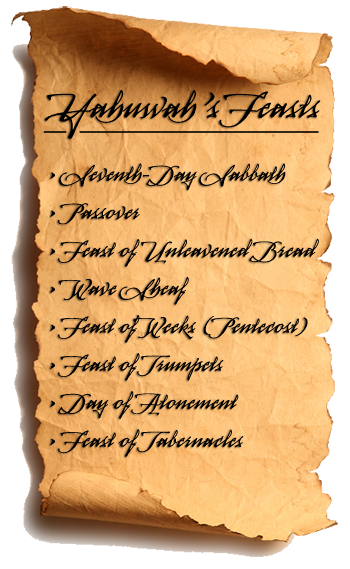 These feasts are listed in Leviticus 23 and the very first feast listed is the seventh-day Sabbath. It is the worship of the Creator on ALL of His holy convocations that is the sign between Yahuwah and His children. In these last days, Yahuwah is calling upon all to return to true worship, on all of His holy days: weekly Sabbaths, monthly New Moons and yearly feasts. Those who return to Yahuwah, keeping His law, are given a beautiful promise – the promise of a new heart. Set aside all counterfeit worship days and pagan celebrations. Honor your Creator by worshipping Him on all of His holy days, calculated by His ordained system of time-keeping, the luni-solar calendar of creation.